One problem with eating at a really amazing restaurant is that I want to sample everything on the menu, all at once. Thankfully Terra Mediterranean has solved that issue with an all-day buffet on Saturday. Terra has several locations in the DFW area including the soon-to-arrive Plano location, Fort Worth, and the one I had the pleasure of eating at, Irving. 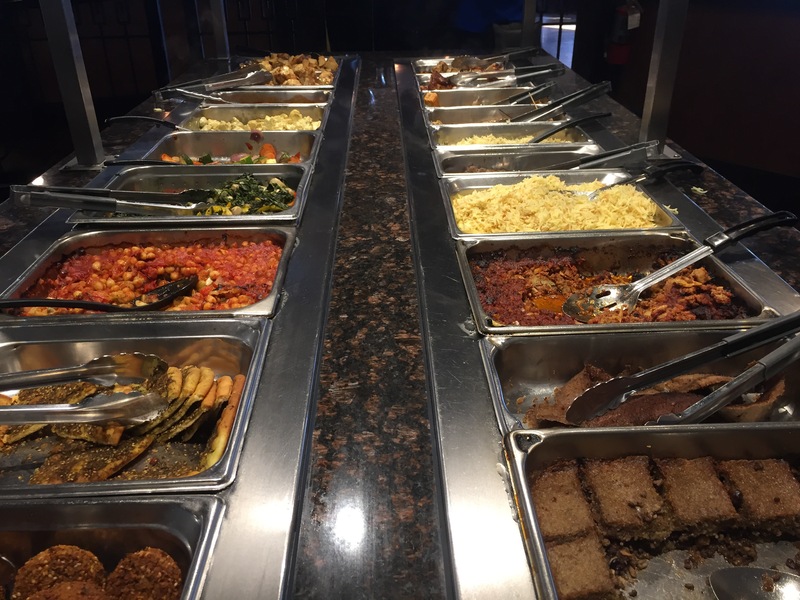 Modestly priced, you can sample the buffet all day long on Saturday (Irving location only). 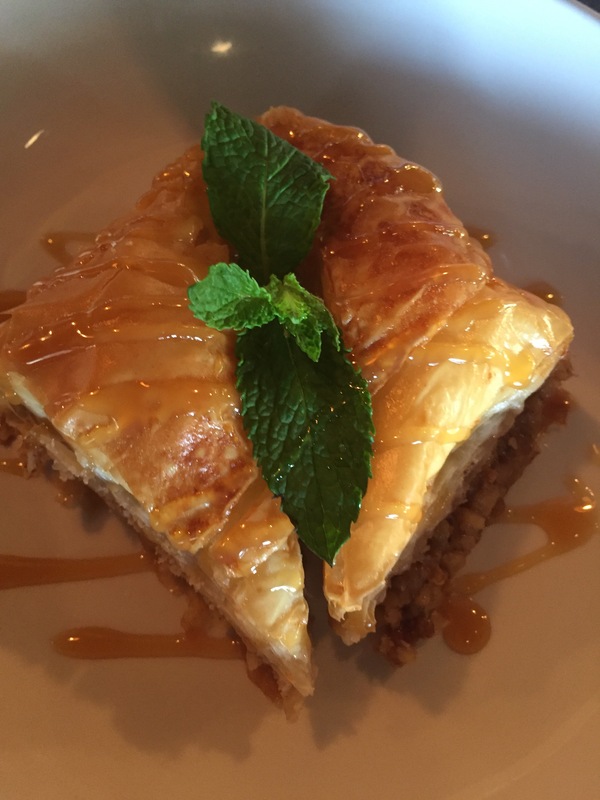 Think of Terra Mediterranean as the love child of Greece and Lebanon. From Falafels to Feta, stuffed grape leaves to baba ghanouj, the beauty of the buffet bar and the intoxicating aromas of spices from the middle east will have you going back for seconds (or thirds, don’t be shy). It is possible to fill up and leave this place satisfied without even touching the meat section, so in case you are a vegetarian or bringing one along with you, you will be fine. Now, let’s turn our attention to the more important things in life, drinks. Terra has this amazing bar at the front of the restaurant with an impressive variety of cocktails and mixed drinks. They even have beer and wine straight from Lebanon. I recommend the sangria! They offer a red and white version. The white sangria is made with fresh grapefruit, pressed on the spot. 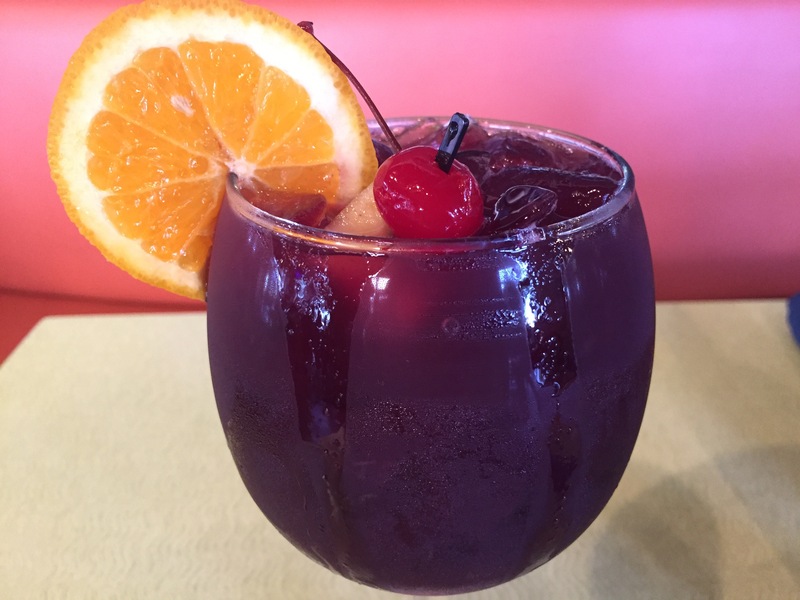 The pours are generous and chilled sangria is just perfect to help get through the hot Texas summer. 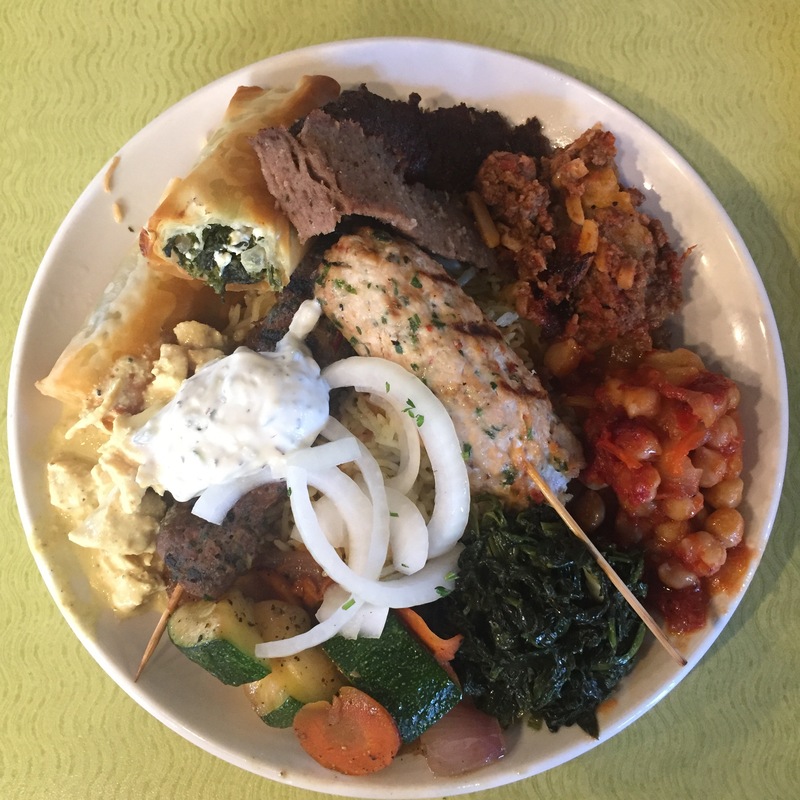 The bread is baked fresh on the spot in this amazing fire oven, the service is friendly and inviting, and the variety and quality of the buffet items are all reasons why one should try this place out, and why I am definitely going to return to Terra Mediterranean Grill!